As you all might agree with the fact that mobile phones can be quite delicate and expensive at the same time. It is important to take special care of them or you might end up damaging them beyond repair. However, there are several mobile phone repair services available today for all different kinds of repair services. fonehero is a leading mobile phone repair service company that offers LCD damage, cracked screen or digitizer, speaker faults and many different kinds of other services that you might need. These services are available for many brands of mobile phones such as, Apple, Samsung, HTC, Sony, Nokia, Blackberry, Huawei, LG, Motorola and Alcatel. The most common problem faced by all the mobile phone users is the LCD screen damage. This is because it is a highly delicate part of a mobile phone and if it is a smartphone, the constant touching of the screen may cause scratches and other problems. It also occurs if you are not covering your mobile phone with cases or covers to protect the phone. One more common reason of the occurrence of the LCD screen damage is because most people prefer to keep their mobile phones in their pockets. With the trend of skinny jeans, majority of the people try to squeeze their phones in their pockets. As the pockets are tight, due to bending or sitting the screen LCD tends to get damaged. Many people often wonder how to protect phone screen? Well, you might be interested to know that LCD screen damage is not vital and can be prevented. For instance, the first and the most important thing to do is to protect your screen with a tempered glass screen protector. You might be surprised to notice that the screen protector will protect your phone from several damages and scratches. Another thing that can be done is to get a foldable wallet case phone cover for your phone; especially if you have a smartphone. This will prove highly beneficial as it will not only protect the back of your phone but also the front and the screen! However, do not be alarmed if it happens even after taking care of it so much. After all, it is a delicate item and it is only normal if it gets damaged. As mentioned earlier there are several places from which you can get screen repair and even screen replacement services. If the damage is mendable then it is not much of a problem. fonehero has a team of highly trained professional staff that will provide you with excellent services and mend your screen within no time. 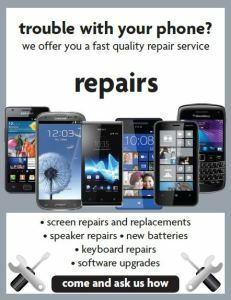 However, if the damage is beyond repair then we have screen replacement services available for any mobile phone that you own. Your mobile phone will be fixed and will be new as ever in no time! So no matter what your phone may have gone through you have nothing to worry about. 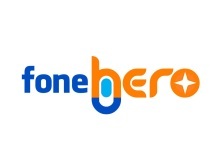 There is no damage that is beyond repair for fonehero. The mobile phones nowadays are more than simple devices we use to talk with others, they are basically small computers that we can use to access the web on the move, stay in touch with friends, social media and so on. Unfortunately, these devices are always prone to destruction or malfunction due to the way they are used, so when the inevitable happens, you need to go to a professional mobile phone repair shop such as fonehero. There are multiple benefits why you should opt for a professional mobile repair shop, and one of the most important ones is the fact that the whole repair process is done really fast, so you can have your phone back fully working in a few hours after bringing it in. We carry stock of most commonly broken parts. This means that you won’t have to wait for parts delivery’s before you get your phone back, and that’s a service we are proud to offer. Alongside that, another major benefit comes in the form of keeping your existing data intact. If you or a person that’s not a professional tries to repair your device, then you might cause some irreparable damage, while opting for a professional mobile phone repair shop will give you the best chance of retaining the data on your phone. Not only that, you also have the option to create a backup for it if needed. Of course, low cost is another benefit brought by a professional mobile phone repair shop, repairs at fonehero normally cost a lot less than the manufacturers own service and are quicker due to the fact your phone doesn’t have to be couriered or posted anywhere. The majority of repairs are more economical than purchasing a new phone however if it’s only slightly more to have a new phone we will advise you of this. In the event we do not have the exact component your handset requires we can offer a loan unit until your phone is fully repaired. This will not be a like for like model but it’s only for a short time as we use overnight couriers for our parts deliveries. Lastly, you know that once the phone is repaired, it has an extended lifespan and has an increased value when you come to sell it at the end of your usage. If you are on a contract you normally get a new free phone every two years. Next time you do your upgrade ask your sales advisor about trading in your old device. 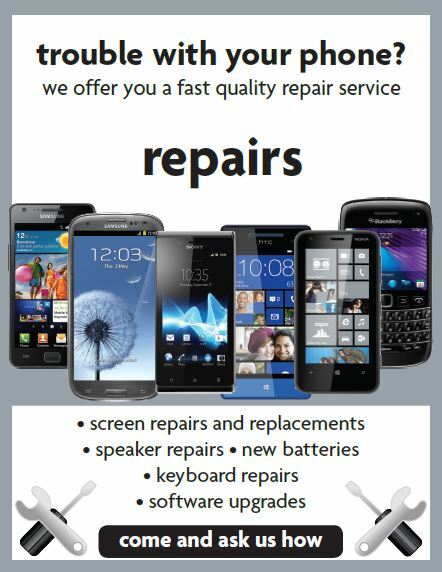 The fact that your phone has been repaired means you will get more for it than if you had not carried out the repair. All of these benefits and many more can be accessed only by visiting your local fonehero mobile phone repair shop today! fonehero is a company that has many years of experience when it comes to repairing mobile phones and we can help you restore your favorite Apple or Samsung phone to their former glory. Alongside that, we can also repair your broken or malfunctioning tablets very fast and with complete precision. In conclusion, if you need a reliable, fast mobile phone or tablet repair, contact fonehero Sunderland and get “back online in no time”! Why not try and fix the fault before you bring your phone into us by usinsg this hand troubleshooting guide.